Treading the waters of finance and retirement can often seem to be akin to navigating a minefield. Many see so many pitfalls and hazards that they choose not to invest altogether, because they’re afraid to lose it all or they’re just overwhelmed by the perceived complexity of personal finance. As a result, many never take the steps they need to take in order to achieve the financial independence that will make all the difference in their lives after retirement. Complexity and the fear of ‘financial winter’ can be paralyzing, but there’s no reason there should be. There are so many tools and resources at your disposal that help make financial markets extremely accessible, whether that means investing in a 401(K), starting a more diversified portfolio of assets, or dabbling in a little trading yourself. The truth is that there’s all the reason for you to start saving for your retirement today —not tomorrow or the day after, but today. Why? Because by not saving, and by not investing, you are losing out on more money by waiting than you stand to lose by taking a small risk and starting your retirement account. This fact can be easily illustrated. Suppose we’re looking at three different people with three different approaches to their retirement. Johnny begins saving for retirement at the age of 35, saving $5,000 a year until the age of 65. Sally saves $5,000 a year between the ages of 25 and 35. At age 35 she stops saving, but keeps her retirement account until the age of 65. Edward saves $5,000 a year, between the ages of 25 and 65. If we assume that they earn an average rate of return of 7% — the average for the S&P 500 index between 1950 and 2009 —, then the growth of their respective retirement accounts will look like the graph below. Despite saving the same exact amount as Johnny, Edward’s retirement investments will still have earned over half a million dollars more than Johnny by the time they reach the age of retirement. That’s a pretty substantial sum and it comes down to the power of compounding. Remember, you’re not earning interest on just the $5,000 you’re putting aside each year, your also earning 7% on all the interest payments you’re account has accrued so far. Yet, a third of all Americans have saved nothing for retirement. What about the people who have an opportunity for an early start? According to survey research, three-quarters of all millennials have saved less than $10,000 and almost half have no savings whatsoever! How can this be? How can so many people be foregoing this spectacular source of wealth? Fear is natural, but it shouldn’t hold you back — it should be what guides you forward. When the stock market crashed in late 2007, the people who came out on top were the ones who used it as an opportunity to invest more, not the ones who withdrew from the market altogether. Why is that? Because they understood that, despite the massive losses that happened as a result of the subprime lending crisis, once the market had reached bottom it had nowhere to go but up. They were able to create certainty out of uncertainty, and they were rewarded for their leadership. That success doesn’t need to be only theirs, though. It could be yours, as well. Remember, if you don’t play the game, you can’t win. Over the years, Tony has published a wealth of information and resources to help you plan your retirement, including two books: Money Master the Game and Unshakeable. In an effort to make these resources as accessible as possible, we’ve put together this handbook to retirement so that you too can enjoy financial independence. Up to an incredible 75% of people will run out of money during retirement. Learn how much you need to set aside to live comfortably. Retirement can be a scary thing, because you may not always be financially prepared. We offer simple strategies to strengthen your portfolio. As a freelancer, you’re a fierce, independent achiever. But, freelancing can be volatile too. Find out how to protect yourself from financial uncertainty. You’ve graduated college, finally! Maybe you’ve found your dream job, but did you know that decisions made today could make all the difference tomorrow? Join Tony and his guests on the Unshakeable podcast, which covers some of the most pressing and important issues when it comes to money mastery in times of uncertainty. Ep. 1: Winter is coming…but when? Ep. 4: Who can you really trust? First-time investment shouldn’t be overwhelming. We’ve put together these resources to help propel you forward toward financial freedom. How Tax Savvy is Your Retirement Plan? How can I start to save and invest now? The first big choice you can make is to pay yourself first. Put aside at least 10% of your paycheck towards savings by investing it into a 401(k) or a Roth IRA. If 10% sounds like too much of a commitment, start with less, but build your way up. 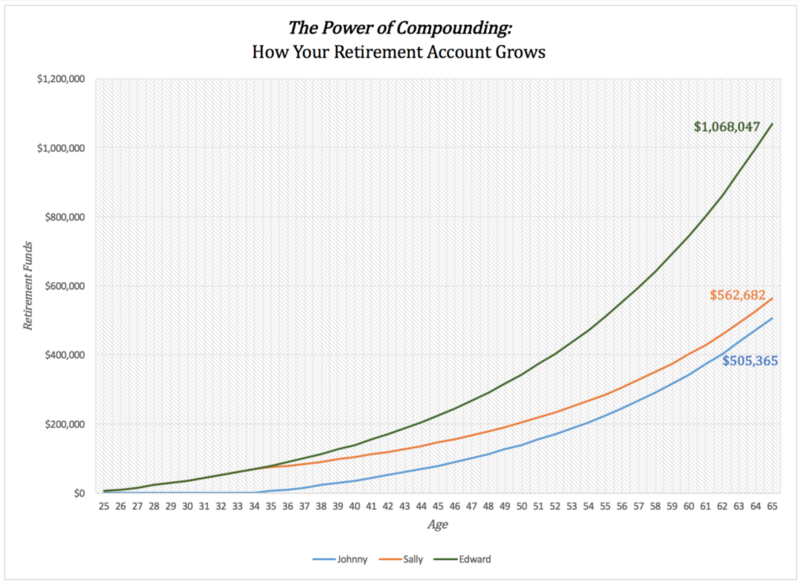 Remember, if you save more, you'll earn more in compounded interest payments over the years. Sometimes saving money means consuming less right now. If that 10% has to come out of a fund for a new coat or dress at Bloomingdales, the choice you have to make is this one: is that coat or dress, or whatever it is, more important to you than financial freedom? Is consuming that final 10% of your income worth foregoing the money you'll make by investing it into a retirement plan? Is it worth foregoing the financial comfort you'll experience tomorrow by sacrificing a little today? Most of the time, you'll find that the answer is no, it's not worth it. Saving doesn't always mean sacrificing all those things you enjoy doing and buying today. Maybe there are less important expenses that by nixing you can save quite a bit over time. Keeping track of all of your expenses is a great way of gaining complete awareness of where your money is going, so that you can make better choices as to where you want to allocate your income. You might find that by eliminating the less important expenses, you might have more money to save than you think. How much should I set aside for retirement each month? At first, it might be easier to decide on a percentage to set aside for retirement each month. At a minimum, you should be saving 10% of your monthly income, but if you've started to save for retirement late then you might consider saving 20 or 30%. Ultimately, you'll need to estimate just how much you'll need to retire comfortably. How much do you plan to travel? What kind of lifestyle do you need to be comfortable? Come up with a rough number on how much you'll need to sustain the lifestyle you seek through one year of retirement and then multiply that number by 20 — this is the number you'll want to see in your accounts when you retire. Using that figure as your target, you can use an online calculator to get a rough idea of how much you'll need to set aside each month. It's also recommended that you speak to your financial planner so that you can start to build a robust plan that will take you towards your financial objectives. What's the difference between a 401(k) and a Roth IRA? 401(k)s and Roth IRAs are retirement plans that invest your savings into a managed portfolio of stocks. The most important difference between the two is that your contribution to your 401(k) is made pre-tax, while your Roth IRA contribution comes from your net income. However, 401(k)s are taxed when you withdraw your funds during retirement, whereas Roth IRAs are untaxed. Investing into a Roth IRA is a means of hedging against tax increases in the future. If you expect taxes to increase down the road, by being taxed today you're actually saving money. On the other hand, if you expect tax rates to fall, then a 401(k) would help you avoid higher taxes today for lower taxes in the future. If you are able to, you can hedge your expectations by investing into both. By doing this, no matter what direction government taxes go, at least part of your retirement will be protected from the change. How can I protect my savings and retirement during a financial winter? When stock prices fall, especially if this fall is systemic and related to an economic crisis, there tends to be a lot of uncertainty and fear. This leads people to pull out of the market, but this is one of the worst decisions you can make because you're withdrawing when you've already taken the big hit. Remember, when it bottoms, the market has nowhere to go but up. 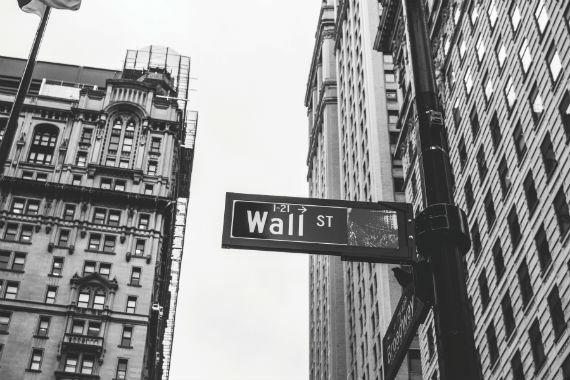 The common average rate of return on stocks of 7% is just that, an average, meaning it's what you get after considering all the years of moving stock prices, not just when they go up or when they go down. What this means is that investing for retirement is a long-term game, and if you pull your money out early — especially after suffering from a large loss — then you've suffered the short-term instability without waiting for the long-term gains. Investing is never risk-less, but by being aware of how the market works you can help avoid undue financial stress on your savings by making the right choices, choices that will bring you and those around you the certainty they need during uncertain financial times. For seasoned investors with a broad portfolio split between stocks, bonds, and other assets, one of the most successful approaches to shock-resistant investments is Ray Dalio's all-weather fund. By organizing his portfolio to find the best balance between risk and returns, Dalio suffered less than 4% losses during a time when the market had fallen by 50% from its peak. I am vested in my 401(k). What does that mean? 'Vested' refers to ownership. If you are vested in your 401(k) it means that you are at least partly owner to it. Sometimes you're not fully vested in your 401(k), which means that your employer retains some ownership of the funds it contributes (never to the money you contribute, however). This can have important implications when you change employers, because it can decide how much of the money your employer matched will move with you. If you are unsure of your company's policy, it's recommended that you schedule a time with your human resources department to discuss the matter.